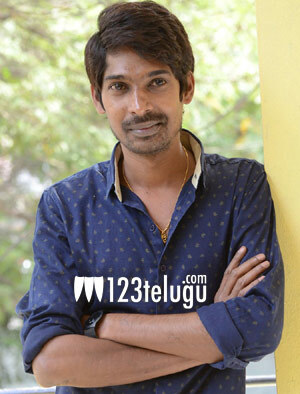 Post the success of Bigg Boss, Dhanraj is back in the game all over. His new film, Devi Sri Prasad is ready for release and we caught up with him for a brief interview. Here is the transcript. This is a heroine-oriented film. A famous heroine is dead and her body comes to the mortuary. There, three friends one of them me do some weird activity with the body. What did they do and what trouble did they face as a result of this is the whole film about. How is the response to the film so far? The title and genre of the film have caught on quite well all over. We have already screened this film for a few in the industry and they liked the film immensely. We are confident about our film and hope that it will do well. I play one of the workers in the mortuary. As I had a huge belief on director Sri Kishore, I acted without any remuneration in this film and my role has come out quite well. The trailer is getting negative remarks. What do you have to say? Yes! some have raised the objections as to how a dead body is being treated in the film. For all those people, we tell that they will understand the twist only when the watch the film. Kishore has worked very hard on the film. He took this story to many heroines but they all rejected it. He has showcased the film quite well and shot it completely in just twenty days and the output he got is very good.